If you are a new cat owner, you are in for lots of fun with your new feline friend! Do not be surprised if your cat brings you more companionship than you expected it would. Did you know that the average lifespan of an indoor cat is 15 years? With proper cat care, your cat may be your companion for a very long time. Some breeds even live to 20 years or more. Cats are underrated companions by people who have never had a cat. They are more independent than dogs, but they are not totally self-sufficient. Cats are very loyal to their human caretakers and relish love and attention from them. The more time you can spend with your cat, the happier it will be. Here are some cat care pointers for you to help grow a healthy, loving bond with your new cat, whether a kitten or a senior. Soon after you welcome your cat into your home, you need to have a good vet examine it. The vet should be able to estimate its age if you’re not sure. An examination should include going over the cat’s entire body, including an evaluation of the condition of the cat’s teeth. The vet will likely recommend an annual teeth cleaning to support your cat’s good health. The examination also will determine if the cat has a disease or is harboring parasites. 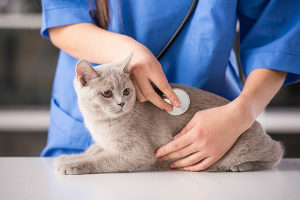 Cats are very prone to parasites, and a vet can prescribe a parasite remedy and preventive regimen designed for your cat based on its age, overall health, and other factors. Do not use human, dog, or other meds of any kind on your cat. Certain over the counter drugs can be deadly for cats. Like other pets, cats can develop health conditions like allergies, and diseases like diabetes. These require special care and prescription meds over the remaining life of the cat. If the cat is not already neutered or spayed, you should arrange that with the vet once the cat is old enough. Discuss the many benefits of that procedure with your vet. One of the biggest cat care tips is to buy good cat food. Your vet can recommend a good food based on your cat’s age and health needs. If your cat is a kitten, get food made for kittens. Likewise, a senior cat needs senior food. Also be aware that cats are carnivorous and will not thrive on a purely vegetarian diet. They need a certain amount of meat protein and nutrients, like taurine, to maintain good health. If you are a vegetarian, please accept the fact that your cat is not. That said cats need some plant-based food to supplement their diet. A good commercial cat food will satisfy those needs. Provide good food and fresh water and skip the Hollywood bowl of milk, which cats really cannot digest. Cats also will benefit from healthy cat treats and a few occasional table scraps. 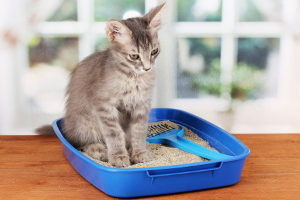 Every indoor cat needs a clean litter box; this is essential for proper cat care. Place it in a location away from your main living area and away from the cat’s eating area. Try not to relocate it often. Help your cat learn to use it by placing your cat in it gently. Let the cat see you dig a little of the litter with your finger. Most kittens and cats instinctively will use the litter box right away. If your cat is reluctant to go in it, remove the top (if yours has one), place the cat gently in the litter box again, and give it a special treat like a morsel of chicken. Repeat that a few times. Once the cat begins using the litter box, your job is to keep it as clean as you can by scooping out the waste daily and replacing dirty litter as needed. Providing toys and a scratching post is great for cat care. Keep your cat’s brain engaged with lots of play. Interacting with your cat will deepen the bond between you. You can get great cat toys from a pet store, but you do not need to buy expensive cat toys- cats are great at turning anything into a fantastic toy. Give your cat a paper bag, a cardboard box, a piece of string, or a just a piece of paper wadded up into a ball, and watch your cat go crazy. Spice it up with a little catnip on it and enjoy the show! Get a scratching post so the cat does not use your furniture or carpet to sharpen its claws. Speaking of claws, your cat will use its claws at times when it plays roughly and to defend itself. Declawing your cat, once an accepted practice, is now controversial. Some vets will not perform the procedure. Be aware that declawing your cat will leave it defenseless. For that reason, a declawed cat should be kept indoors. Get a cat brush or comb designed for your cat’s hair and use it regularly. Regular brushing is particularly important for long-haired cats. Your cat will love it, and it will help manage the inevitable shedding and dander. If your cat is a kitten, you can incorporate bathing into a grooming routine (using products formulated for delicate cat skin). Be aware that cats groom themselves and ingest lots of cat hair, causing them to cough up hairballs. You can help manage this by using a hairball control remedy acquired from your vet or pet store. The best way to train a cat is establishing a daily routine and using positive reinforcement. Feed the cat at the same times every day. Groom at the same time every day. Reward the cat with a treat when it responds to its name. Never use physical punishment on your cat. The cat will not understand and will begin to fear and distrust you. Even scolding the cat overly harshly will confuse it. Follow these cat care pointers and you should have a happy feline companion for a long time.